You can click on the title or picture to take you to the PDF file to print it out. Most of what I’m sharing here has been born out of intense personal experience. I’ve wrestled with these doubts. And over and over again I find myself believing these lies about prayer. I am not writing as one who has “figured out” prayer. Deitrich Bonhoeffer has said, “True teachers in prayer can only help by directing to the one who must Himself help us pray.” So, this is not going to be 12 secrets to a great prayer life, or a clever acronym to help you remember how to pray “the right way.” It is not about heaping guilt on ourselves in regards to how much we “should” pray. It is not even about tricks to help us pray more, although I will share some tools that may be helpful. I just want to expose the lies of our hearts that keep us from communing with God, and hopefully point you to Jesus, who is the only one who can help us find the grace that is prayer. 1. God is indifferent to my prayers. We may sometimes ask, ”Why should I pray since God already knows what he’s going to do? What difference does it make?” This is a temptation to be cynical about prayer. Some people say, “Prayer doesn’t change anything. It just changes you.” Have you heard this objection? Have you ever thought this? In Matthew 7:7­-11, Jesus teaches us that we should ask. If we as parents give our children good gifts, “how much more will our Father in heaven give good gifts to those who ask him!” Jesus doesn’t just command us to believe this truth, he gives us a logical argument for praying with faith. In the section on prayer in his book Bible Doctrine (158-159), Wayne Grudem deals with the tension of knowing God is sovereign, and yet reading verses that indicate our prayers are effective. He concludes that while God does not need us to tell him what we need (Jesus says in Matthew 6:8 that he knows what we need before we ask), prayer does allow us as creatures to be involved in activities that are eternally important. Even though we can’t explain exactly how it works, it is clear that in prayer we participate in God’s sovereign will. The response to our cynicism is believing that we can pray with expectation, even though we don’t fully understand how it all works. 2. God is impersonal and distant. He isn’t close to me. We may sometimes ask, “What’s the difference between praying and just hoping for things? Does God really care?” Or we might say, “I’m afraid that God won’t answer, ­and if he doesn’t, I’m afraid that I won’t believe any more.” In some ways, these questions represent the obstacle that is behind all of the obstacles to prayer–doubt and unbelief. We struggle to believe that God is good, personal, and intimate. And if (when) we can’t believe these things, we won’t come to Him. But the good news is that God has come to us in Jesus. The fact that God has sent His son Jesus Christ to earth, to live among us, and to die for us is a demonstration of God’s intimate, personal love. In the midst of the apostle Paul’s instructions to men in the church to “lift up holy hands” in prayer for the government (1 Timothy 2:1-6), we read a surprising summary of the gospel. Verses 5-6 say, “There is one God, and one mediator between God and mankind, the man Christ Jesus who gave himself as a ransom for all men” This is why we pray. This is how we can have faith that God is near. He has already drawn near to us in Jesus. The response to doubting that God is near is believing we can pray with confidence in our Father’s intimate love, because he has demonstrated this love on the cross. 3. The Culture of Secularism. What I mean by this is the belief that there is a disconnect between “God’s world” and the “real world.” We might ask, ”Can I talk to God about everything? Should I just pray about important things or spiritual things?” Honestly, I would guess that most of the time, people wouldn’t even ask these questions, because they don’t consider praying about everyday matters. That is because, in our culture, we inherently think there is a disconnect between God’s world and the real world. This mentality comes from the Enlightenment. Since that period in history, people in the West have thought of the “sacred/spiritual” world and the “secular/everyday life” world as two separate things. When we think about what a secular/sacred division looks like, we often think it looks like the people who go to church only on Easter and Christmas. But we are susceptible to this mentality! How many of us pray about finding a parking place when we are running late? Or for our child’s behavior before we drop them off at SojournKids? Or when we lose our keys? We can pray about everything, because all of life belongs to God. All of life is spiritual. The response to living in a culture of secularism is believing that God is involved in every aspect of our lives, and we can pray about anything. Notecards: In his book, A Praying Life, Paul Miller highlights notecards and journals. Miller dates his cards and places a person’s name at the top. Then, below he can put down a Scripture passage or bullet points that he is praying for the person. I’ve found that the “Notes” app on an iPhone works just as well. Journals: Prayer is interconnected with every aspect of your life, because all of your life is part of God’s story. Miller says, “Learning to pray is almost identical to maturing over a lifetime. What does it feel like to grow up? It is a thousand feelings on a thousand different days. That is what learning to pray feels like…it isn’t something you accomplish in a year. It is a journey of a lifetime.” Sometimes journaling or just making notes of our prayers can open our eyes to God’s hand in this journey, especially over longer periods of time. A Prayer Calendar like this one can guide us to pray for aspects of our kids’ character that we might not otherwise think about. Praying Blessings. For each of the lies that keep us from prayer, I’ve provided model prayers from the Psalms. The psalms can provide a model for praying blessings over our children as well. David Michael’s A Father’s Guide for Blessing His Children outlines how to turn psalms into blessing prayers. Here is the fourth of seven lies that keep parents from praying. At this point in the list, I’m transitioning from lies we believe about God to lies we believe about ourselves. Why are we afraid to be honest with God about our true desires? We are really trying to protect ourselves from realization that we are not in control; from the realization that we are not holy; from the realization that we are not powerful. If we could control God and make him answer the way we want, praying would be easy, but when I am willing to pray even for my selfish desires, I confess that I am out of control. 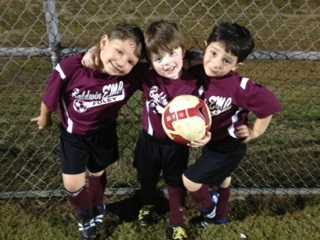 This means we can pray for our children honestly­–for their good health, for their academic/athletic success, for their repentance and salvation. God is the one who ultimately decides what he will give. But, nevertheless, he wants us to ask and believe that he gives good gifts to us, because we are his children. The response to a desire for self-­protection is believing that we can pray with childlike faith because we have a good Father who knows what is best for us. 5. “I feel burdened to pray, but it feels obligatory. I know that I should pray, but I don’t want to.” Basically, when I pray I feel holy. When I don’t, I feel guilty. The root issue of this lie is the idea of works righteousness. Praying more makes me a better Christian, and, on the other side, when I don’t have long prayer times, I feel guilt from not “doing” enough. Both perspectives view prayer as a good work and not a means of grace; as something we do for God; something that pleases Him. Sometimes we focus too much on the prayer itself instead of God. Our goal is to experience God, and prayer is the means by which we get to know Him. When we fail to pray, we are really forfeiting the grace we could be experiencing and withholding that from ourselves.We don’t pray to gain favor for better results with our children. We pray because, when we do, we recognize that we can not control their hearts, only God is able to do that. And in those moments we find rest from our futile efforts and worries. The response to thinking our prayers make us holy is believing that we always pray imperfectly as sinners who can approach God in Jesus’ name. When we are tempted to think of prayer as an obligation or when we feel guilty for not praying enough, we can pray Psalm 51 and remember that we are sinners who can boldly approach the throne of grace because our high priest, Jesus, has made a way for us. 6. Self­-Reliance. While we might not say it, deep down we often think “I don’t need to pray, because I can handle it.” When we do pray, often we are essentially praying, ”Lord, please bless my efforts.” We are thinking of ourselves as God. We have our lives under control. Paul Miller writes, “If you are not praying, then you are quietly confident that time, money, and talent are all you need in life.” Is this convicting? What does this look like in your life? 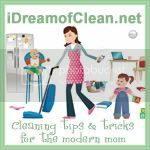 For me, when my child is disobeying I brainstorm some way to manipulate better behavior. Then, at the end of the day I pray, “God­, help this to teach her to stop doing that.” Really, that prayer is just an afterthought because I think I know how to solve this problem! But, in reality, we are really desperate for God. Colossians 1:16-17 says, “Christ is before all things and in him all things hold together.” Things don’t depend on us. They depend on him. The response to self-reliance is believing that we can let go of our anxieties in prayer, because God is the one in control, ­not us. If we love people we are going to be busy. We see this in Jesus’s life! There is a really helpful quote in this section of Paul Miller’s book that says “Prayer doesn’t offer us a less busy life­. It offers us a less busy heart.” By praying, we can experience God and His peace in the midst of our busy lives. This world seems so real to us! But it is passing away. It is not true reality for us. We should not be consumed by the things of this life because we have died to this world, and our identity, our lives, are hidden with Christ in God. The response to busyness is believing you pray as one who is not of this world. The good news is, there is forgiveness when we repent of these lies and believe truths. And as we wrestle through these doubts, God is gracious to draw near to us in the midst of them. 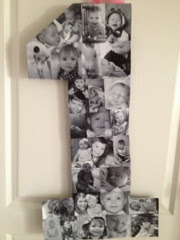 For Mary's birthday I made a board in Pinterest. 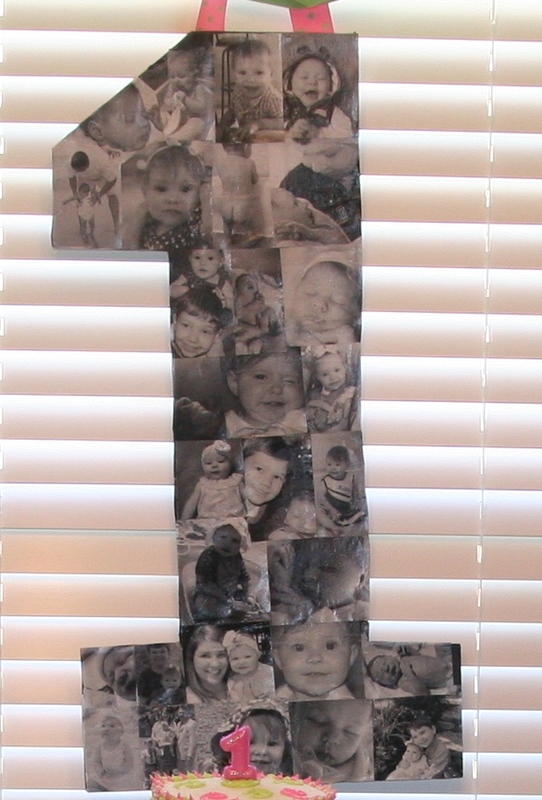 One of the things I wanted to make was the #1 covered in pictures from her first year. Well I finally did it.... And it turned out GREAT!!! It was really special to see how much she has grown and some of the special memories she has made. It was super easy! 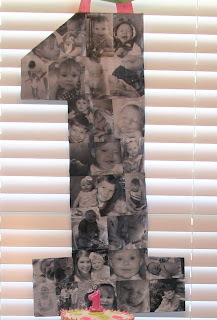 Arrange the pictures on the number like you want and then paint with several layers on Mod Podge(go by the directions on label). Then allow it to dry and add a ribbon to hang it up. Super easy!!! I now have it hanging on her bedroom door. It's too cute! Here is one of the links where I got the idea. 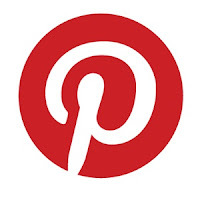 If you would like to join Pinterest or view some more great ideas you can click here. Trick-or-Treating Safety- A MUST READ!!!! 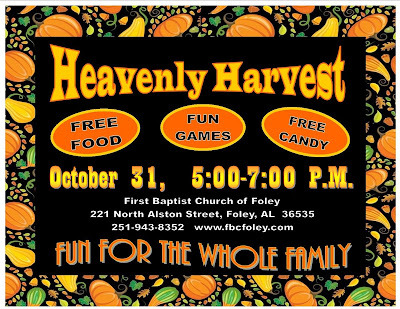 If you would like to avoid reading all the following safety rules/tips for trick-or-treating; then it's simple just come and join us for a night of fun, for the whole family!!!! 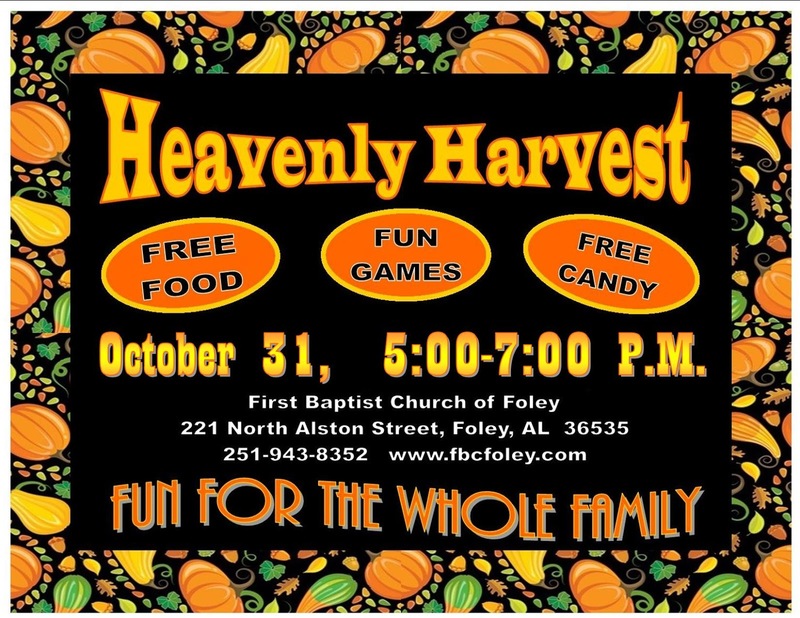 Heavenly Harvest is a wonderful alternative for children/families on Halloween night. With tons of free food, fun games, awesome inflatables and lots of candy for everyone!!!!! Persons receiving trick-or-treaters should keep a light on and pick up obstacles that could cause a child to trip and become injured. Jack-o-lanterns should be kept clear of doorsteps and landings. Consider the possibility of using flashlights instead of candles to light Jack-o-lanterns. Keep dogs and other pets away from doors so children will not become frightened. How do you know on halloween if the person giving your child(ren) candy is a "REAL" scary person!?!?!? 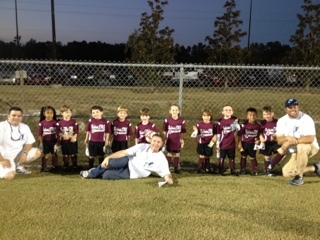 Tonight was Matthew's last soccer game for the 2012 season. 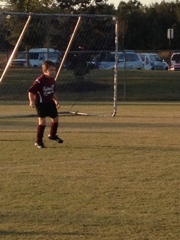 He has really enjoyed soccer and I think he will want to do it again next year. 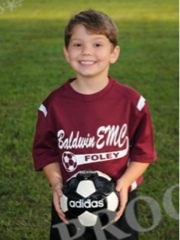 He played on the 4/5 year old Baldwin EMC team. 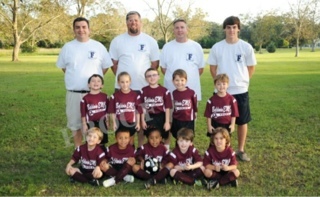 Mr. Damon, Mr. Anthony, Mr. Jay and his daddy were his coaches in which he loved everyone of them. 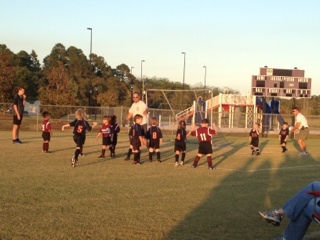 I personally loved watching these little kiddos play. It, to me, is somewhat like basketball. I get a little too excited. I can't wait till next year!!! WOW! I can not believe how fast a year goes by, but it does! In a blink of an eye my newborn baby has turned to a 1 year old "little" big girl. 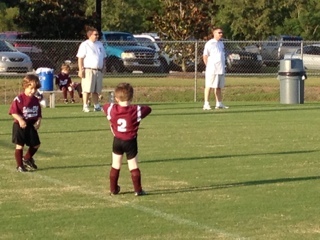 You think the first child grows up fast but then the second is even faster! Mary had a wonderful birthday! Thank you to all of our friends and family that celebrated with us for her special day! Also, A BIG thank you to my sweet friend Charli (Ground) Massey who was the biggiest help EVER!!! 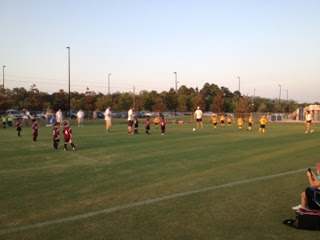 The Latta Family loves our "Charli Ground"! 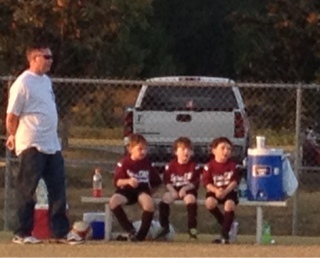 Ten Things I am Thankful For 10/17/2012. 2. Listening to the cute conversations between the five kids in my car. 5. Being able to help when needed. 10. Grace that I do not deserve. Thank you Jesus!!! 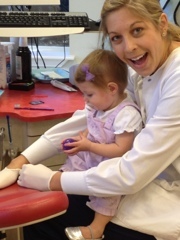 Mary had her first trip to the dentist today. I figured she would do ok since I brush her teeth at home. I thought it would not be a big deal. She was doing great until she tasted the tooth paste. Then it went downhill from there. I wish I could have seen the children's faces in the waiting room when Mary started screaming to the top of her lungs!!!! The dental assistants were so sweet. They couldn't believe something so loud could come out of that sweet little baby! I reassured them she was acting like her father. 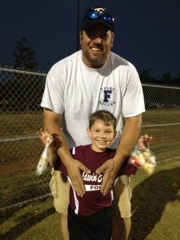 Great memories made today! To Pinterest or Not to Pinterest.... That is the Question. 1. What is Pinterest? Click here to learn more from the site. 2. 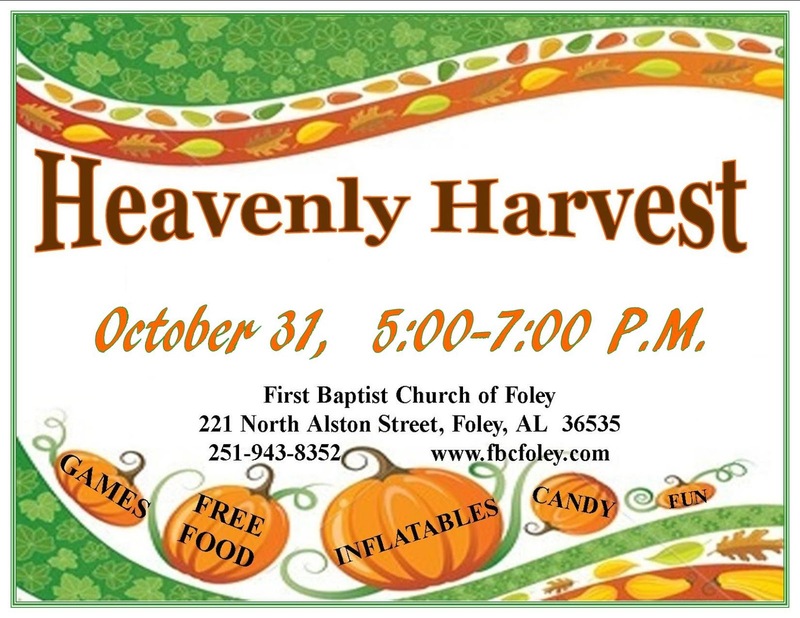 Request an invitation here. Or if you know someone already on Pinterest, ask them to send you an invitation (you can ask me, too!). That way, you can get started immediately. But if you dont know anyone it only takes a day or two to get your invitation through the Pinterest team. 3. Sign up. You can sign up with your Facebook or Twitter account or create a new login/password. 4. Find some friends to follow. There are several ways to find friends who are already “pinning”. Just run the friend finder processes and it will search your Twitter, Facebook, and email accounts. 5. Create your boards. Create however may categories or “boards” to organize the pins that you want to add. They start you off with the standard set but you can add, change, delete, etc. 6. Start pinning! There are three ways to start pinning, basically. First, follow some people you already know and check out their boards. You can repin their pins onto any of your boards. Secondly, you can go to “Staff Favorites” under your Boards menu and search there. Also, try browsing the “Everything” category on the main page. You’re bound to get lost in pinning awesomeness. 7. Keep the pins coming. Once you are comfy with your boards and pinning, you can start adding new pins. The next time you come across a recipe or tutorial with great images, use the Pin It bookmarklet (that you will be able to add at sign in) on your browser to create the pin. Keep in mind it will only allow you to pin a page with a decent size image, to keep with the whole nature of the site. You can always upload your own image of things you find offline. There’s also a very handy iPhone app. Are you on Pinterest? Speak up! And if you want to follow my boards, I’m here! This info is from The Pixel Boutique .